An Indian Citizen in Sierra Leone, Pankaj Kumar Panchal and two Sierra Leoneans, Mohamed Kamara and Osman Kamara, who were before Magistrate Hanna Bonnie of Court No. 1 on Tuesday, 2nd April, 2019 were not legally represented. The three accused persons were in the dock on seven count charges. Count one, conspiracy to commit a felony contrary to law. The particulars of offence states that the three accused between Saturday, 16th and Sunday 17th March, 2019 robbed Bai Koroma all total value of sixty six millions ninety thousand Leones (Le66, 090,000) property of William Moses whilst in custody of Bai Koroma. Count two, robbery with aggravation contrary to section 23 (1) (a) Larceny Act 1916 as repealed and replaced by section two of Act No. 16 of 1921. Count three, attempted murder contrary to law. The particulars of offence continues that the three accused persons attempted to murder Bai Koroma by inflicting severe injuries on his hands and mouth with knives and scissors. Count four, wounding with intent contrary to section 18 of the offences against persons act of 1861, that the accused persons wounded Bai Koroma in a manner thereby causing grievous bodily harm. Count five, Wounding contrary to section 20 of the offences against the person’s act 1861. 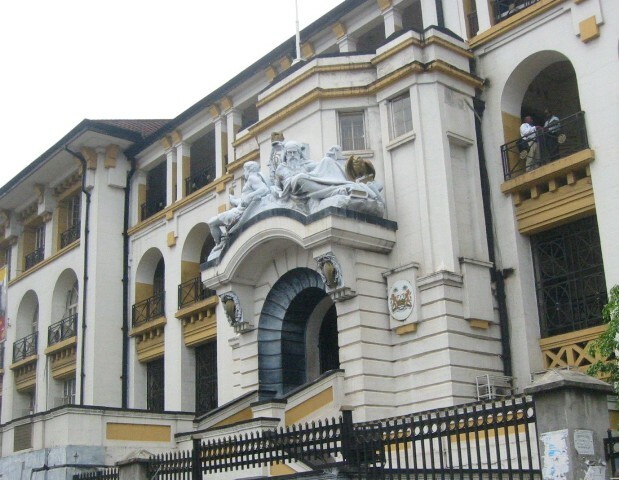 Count six, forceful imprisonment contrary to chapter three (iii) section 20 (1) of the 1991 Constitution of Sierra Leone and count seven, assault occasioning bodily harm contrary to section 47 against the persons act of 1961, that on the same date and address, the three accused assaulted Bai Koroma. The matter was prosecuted by ASP Ibrahim Mansaray and adjourned to April 9th, this year and the Magistrate Hanna Bonnie ordered that the accused persons be remanded in custody at the Pa Demba Road Correctional Centre.